Home / autosnewyork / NISSAN VERSA-TIIDA 2010 MANUAL, CON DIRECCIÓN HIDRÁULICA, AIRE ACONDICIONADO, COLOR GRIS PLATA, CON GPS SATELITAL GRATIS. FINANCIAMOS HASTA 100%. ESPECIAL PARA UBER, NOVA, OBNY O CABIFY. NISSAN VERSA-TIIDA 2010 MANUAL, CON DIRECCIÓN HIDRÁULICA, AIRE ACONDICIONADO, COLOR GRIS PLATA, CON GPS SATELITAL GRATIS. FINANCIAMOS HASTA 100%. ESPECIAL PARA UBER, NOVA, OBNY O CABIFY. 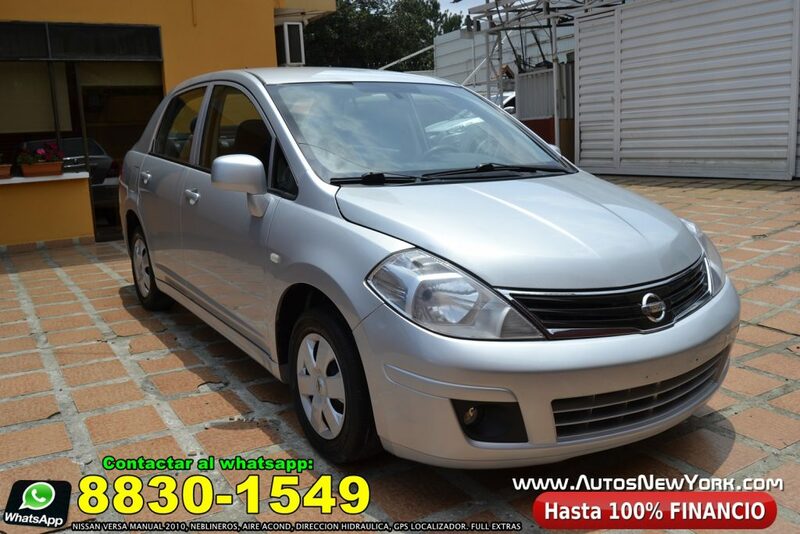 NOS ACABA DE LLEGAR ESTE NISSAN VERSA-TIIDA 2010 MANUAL, COLOR GRIS PLATA, GPS LOCALIZADOR GRATIS, SHIPTRONIC, VIENE CON SISTEMA ECONOMIZADOR DE COMBUSTIBLE, VIDRIOS ELÉCTRICOS, BATERÍA NUEVA, 4 PUERTAS… FULL AIRE ACONDICIONADO, FULL EXTRAS. NISSAN VERSA 2010, MANUAL, 4 PUERTAS, CON FULL AIRE ACONDICIONADO, BATERÍA NUEVA, COLOR GRIS PLATA, Ya con RTV Y ESTA PARA INSCRIBIR. Nos acaba de llegar y financiamos hasta el 100%,NISSAN VERSA-TIIDA 2010 MANUAL color GRIS PLATA, 4 PUERTAS, YA CON RTV Y PARA INSCRIBIR, ESTA COMO NUEVO,IMPECABLE…. Full Extras. Previous: HYUNDAI ACCENT BLUE 2012 COLOR CELESTE, MANUAL, CON: VIDRIOS ELÉCTRICOS, GPS SATELITAL GRATIS. FINANCIAMOS HASTA 100%. ESPECIAL PARA UBER, NOVA, OBNY O CABIFY. Next: HYUNDAI TUCSON 2012 GRIS PLATA, SHIPTRONIC, CON AROS DE LUJO, FRENOS ABS, COMANDOS POR VOZ, ESPEJO CON DIRECCIONAL, FULL EXTRAS, VIDRIOS ELÉCTRICOS. CON GPS SATELITAL GRATIS. FINANCIAMOS HASTA 100%.